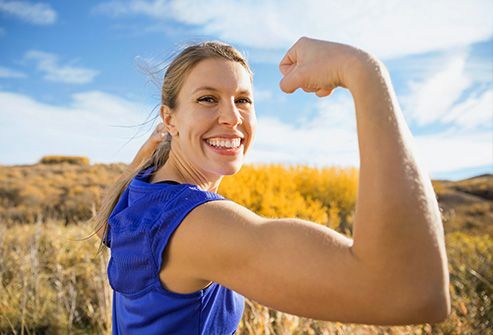 Your body uses it to build your muscles and organs, deliver oxygen to cells all over your body, and keep your immune system working. Most people should get at least 10% of their daily calories from protein. That’s about 50 grams for a man (based on 2,000 calories a day) and 45 grams for a woman (1,800 calories a day). 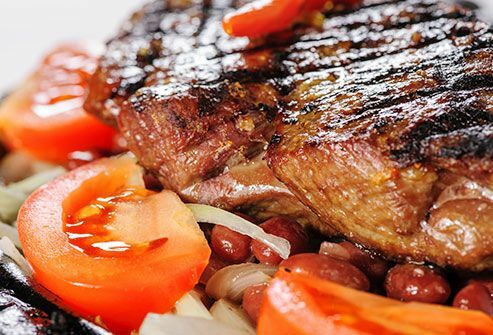 Meat is a good source, but you shouldn’t overdo it, especially the fatty kind. 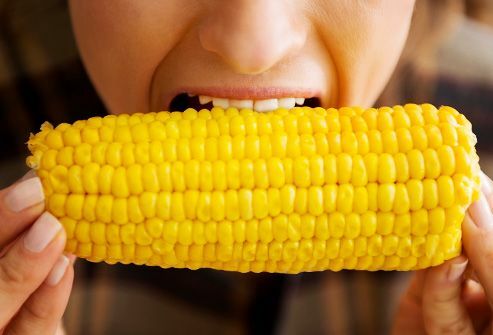 It can make you gain weight and lead to high blood pressure, high cholesterol, and other health problems. 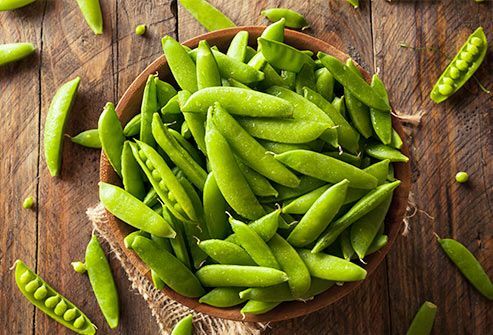 You can get protein from other foods, too, like yogurt, eggs, beans, and even vegetables. In fact, veggies can give you all you need as long as you eat different kinds and plenty of them. 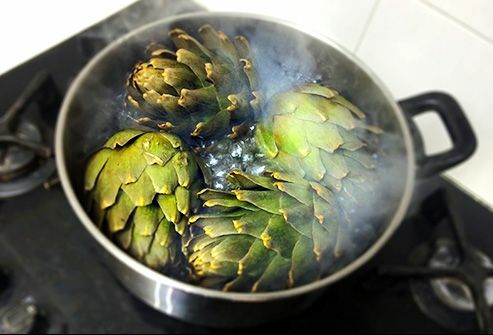 Steam them with nothing but a sprinkling of salt for a protein-packed snack: up to 30 grams per cup. That’s about what you’d get from a 3-ounce serving of chicken. 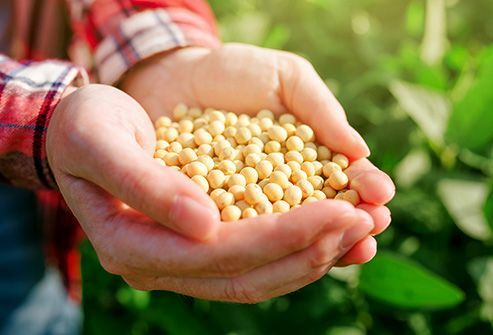 It’s made when bacteria feed on soybeans -- a process called fermentation, just like milk ferments to make cheese. It’s often sold in blocks, and you can use it in place of meat in some recipes. 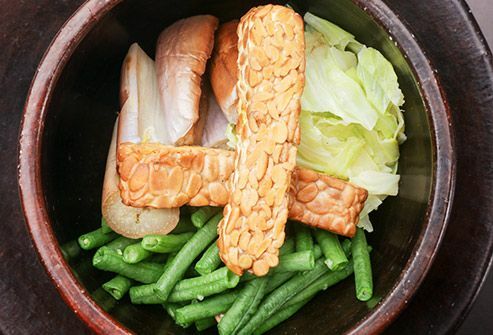 It has about 17 grams of protein per 3-ounce serving (far more than its cousin tofu, made from soybean milk). Try a tempeh “hamburger” to scratch that fast-food itch and get a punch of protein in the process. 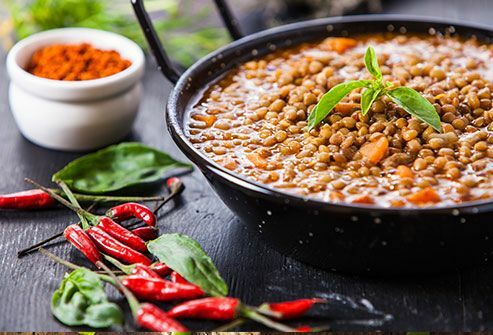 A half-cup of cooked lentils has 9 grams of protein. Cook them with caramelized onions and wild mushrooms for a meat-like texture (without the meat). They have about 5 grams of protein per cup. 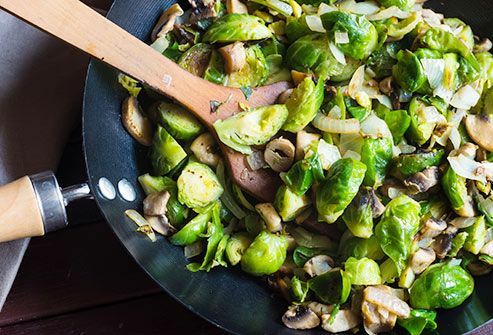 Stir-fry them with some tempeh, onions, and hot peppers for a spicy vegetarian feast that’s protein-packed. 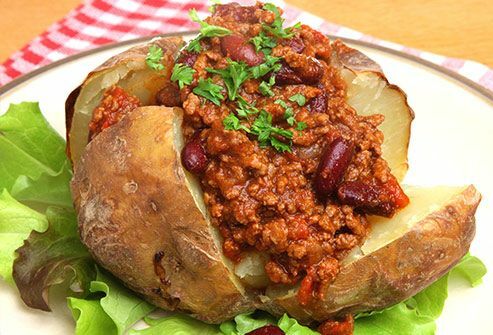 A large baked potato has about 8 grams of protein. But watch the butter and sour cream -- they can pile on the fat and calories. Try it with some chili made with low-fat ground turkey or tofu crumbles instead. And add lots of beans to that chili for an even bigger protein hit. It has more than 3 grams of protein per serving. 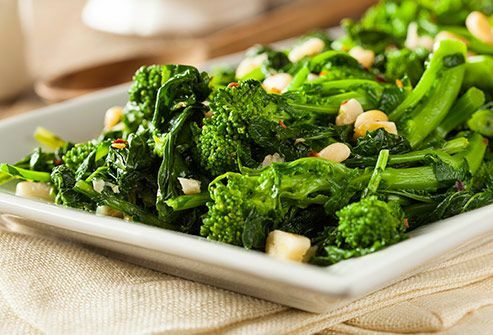 Sautee it with some garlic and onions for a great side dish that goes with just about anything. 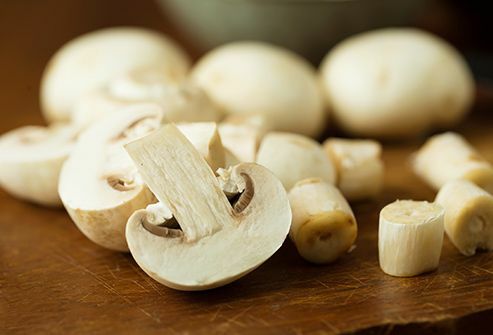 A cup of cooked white mushrooms has about 3.5 grams of protein. Sautee them with garlic and chili flakes, and mix with pasta for a traditional Italian treat. A dab of butter and a sprinkle of salt and you have a yummy summer side. One large ear has almost 4 grams of protein. The easiest way to have this is to boil one whole and sprinkle it with salt. You can drizzle a little butter or olive oil as well if you like. It’s simple and delicious and has about 3.5 grams of protein. These tiny cabbages pack 2 grams of protein into each half cup. Roast them with onions and garlic and a little olive oil. You can even add a bit of bacon for flavor and more protein. United States Department of Agriculture Nutrient Database.